Keeping customers happy can be a difficult task for many companies. When they look for customer relationship management solutions, make sure your company stands out in the crowd. 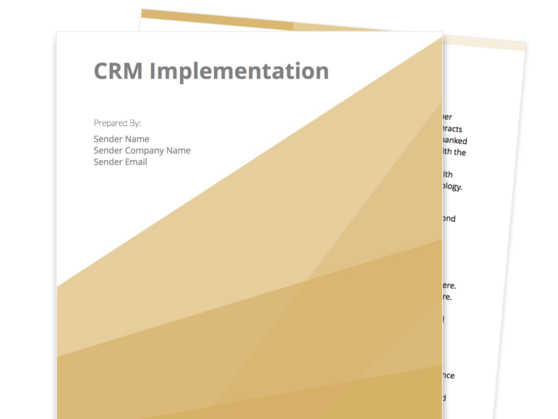 Our CRM implementation proposal template provides sections for techniques, services, a contract, and more. 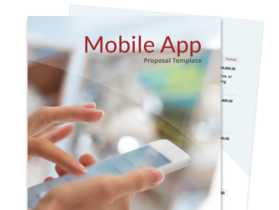 Take advantage of this professionally designed customer relationship management implementation proposal template that’s a cinch to customize according to your needs. Impress your potential clients by highlighting your firm’s qualifications, experience, and expertise in managing customer relationships and customer retention. Create a proposal that clearly and transparently outlines how your company works—defining the workflow that will start once the deal is finalized. Describe what the expectations will be in terms of outcomes and final costs. Protect your company and your client with an implementation agreement that outlines your obligations and requirements in a legally sound and binding language. Customer Relationship Management (CRM) experts, teams, and companies looking to provide quality CRM services to other businesses that are experiencing challenges with customer retention. Before your prospective client can trust you with helping them manage their customer relationships, you have to make them open to the idea of considering you as a viable choice over your competitors first. 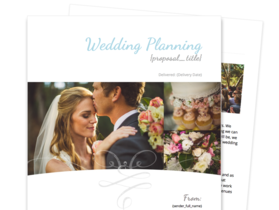 This section gives you an opportunity to set the mood and tone for the rest of your proposal, while also suggesting the kind of quality and expertise that you’re set to deliver once they close that deal with you. This section gives your prospective clients a bird’s eye view of what your company is all about, from the service offerings you provide, the major responsibilities you attend to during the provision of your service, to a detailed but brief summary of your past projects. This section should be as accurate as possible, as it’s a good chance to convince your prospect that you’re the right company for the job. Show your potential client that your company not only has the skills and qualifications to do the job well, but also a clear vision about where it’s headed in the future. This will cement your prospects’ perception of your company as a service provider with a viable, long-term strategy for success, which will then inspire further confidence in your work. Help your client close that big deal with you by giving them a detailed sneak peek into your operations and services. In this section, for instance, you can describe the meticulous step-by-step process that would begin as soon as they sign the dotted line. This way, they can have a good idea about the kind of attention to work quality that you will no doubt extend to the fullest once your company gets hired. This section formally breaks down the individual services they can expect from you once the official work begins, itemizing them by cost, unit, quantity, and duration. A grand total is also provided at the very end. This is a detailed agreement laying out the obligations your company and your client will be required to fulfill during your contract period. This serves as both a legally binding document as well as a formal reminder of your responsibilities to each other. 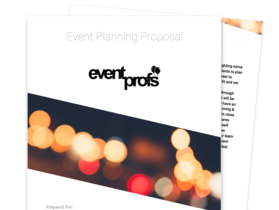 Close your proposal with a section where you and your client can agree to fulfill your obligations until the engagement has been completed.